In a world of continuous change, your learning agility is the key for getting up to speed quickly -- and then, staying there. Agile Selling is for sales reps and companies who want to go big. Mastering these strategies is the key to a sustainable competitive advantage in an ever-changing world. 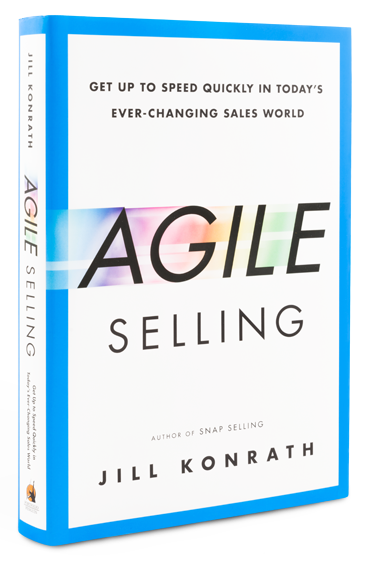 Always Be Learning -- that's the message of Jill Konrath's new book on the art and science of sales … If you want to be quicker on your feet, you need this book. Agile Selling shows you how to become an overnight expert, capable of bringing a continuous string of sales-inducing ideas to your clients.